Almost everyone at one time or another has experienced brief periods of mild ringing or other sounds in the ear. This is known as tinnitus. Tinnitus means sizzling or ringing sounds in the ears, which can be constant or intermittent. It can occur in one or both ears. It may be caused by age-related hearing loss, an ear injury or infection, exposure to loud noise, high altitudes, upper respiratory infections, earwax blockage, vitamin and mineral deficiencies, ear bone changes (abnormal bone growth), , or diseases like high or low blood pressure, diabetes or a circulatory system disorder. This annoying condition can interfere with daily activities and cause difficulty hearing, working, concentrating and sleeping. 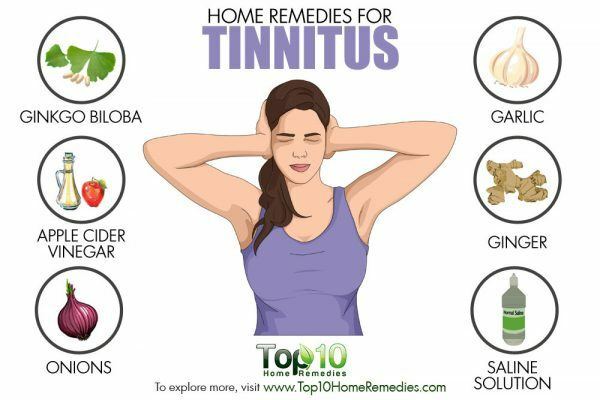 While it is not always easy to find the exact cause of tinnitus, there are a number of natural remedies to reduce ringing in the ears that are very effective. Here are the top 10 home remedies for tinnitus. Plus, this herb has antibacterial and antifungal properties that can treat any underlying infection that may be contributing to the condition. To treat tinnitus, you can take ginkgo biloba extract that you can buy from herbal drug stores. Take 120 to 240 mg of standardized extract containing 24 to 32 percent flavonoids and 6 to 12 percent terpenoids. Take it daily, ideally in three or four divided doses, for six weeks to get positive results. Consult your doctor before starting the treatment as this herb may interact with certain medications. Note: Ginkgo biloba should not be given to children. Being an antifungal and anti-inflammatory agent, apple cider vinegar can also be used to treat any underlying infection that may be contributing to tinnitus. Apple cider vinegar also balances the alkaline level in the body. Mix two teaspoons of apple cider vinegar and a little honey in a glass of water. Drink this solution two or three times daily until the ringing sensation in the ears stops. Holy basil is another good natural remedy for treating tinnitus. Its antibacterial properties can kill the bacteria that may be causing the problem. Plus, this herb can give you relief from ear pain. Put a handful of basil leaves in a blender to make a paste. Put the paste on a strainer and press with a spoon to extract the juice. Warm the basil juice slightly. Using a dropper, put two or three drops of it in the affected ear. Repeat twice daily for three or four days. The medicinal and antibacterial properties of onions help treat ear infections causing tinnitus. Chop one small onion into small pieces. Microwave the onions for one to two minutes. Allow it to cool, and then strain out the juice. Put two or three drops of the juice in the infected ear. Leave it in the ear for five minutes, then turn your head to let the juice drain out. Do this a few times a week to get rid of tinnitus. Garlic can be used to treat tinnitus caused by high altitudes or cold weather. Garlic helps reduce inflammation as well as improve blood circulation. 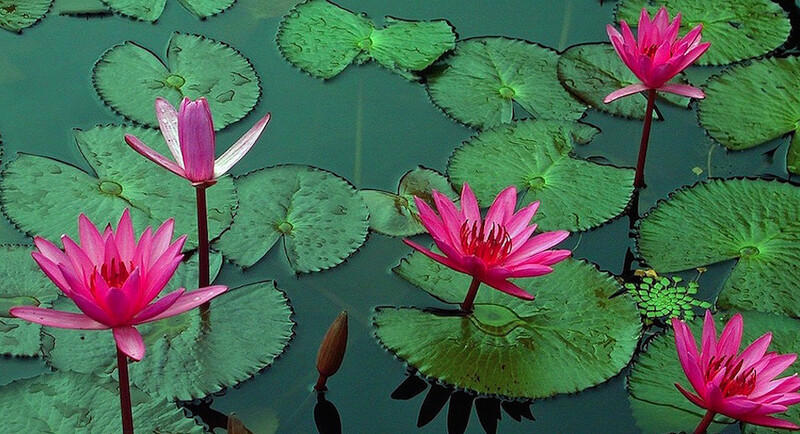 Plus, it has antibacterial properties that can get rid of any infection that may be contributing to the problem. Fry two crushed garlic cloves in one tablespoon of sesame oil. After straining and letting it cool, and put two or three drops of the oil into the ear canal. Do this daily at night before going to bed. Continue for about one week. You can also take garlic capsules or use this herb in your cooking. Saline solution can help treat tinnitus caused by blocked nasal passages or excessive fluid in the sinuses. Mix one teaspoon each of salt and glycerin in two cups of warm water to make a homemade saline solution. Use a nasal spray bottle to inject the solution into each nostril until it starts to drain into the back of your throat. Spray the solution into your throat also. Follow this remedy three times a day until your nasal passages are clear.